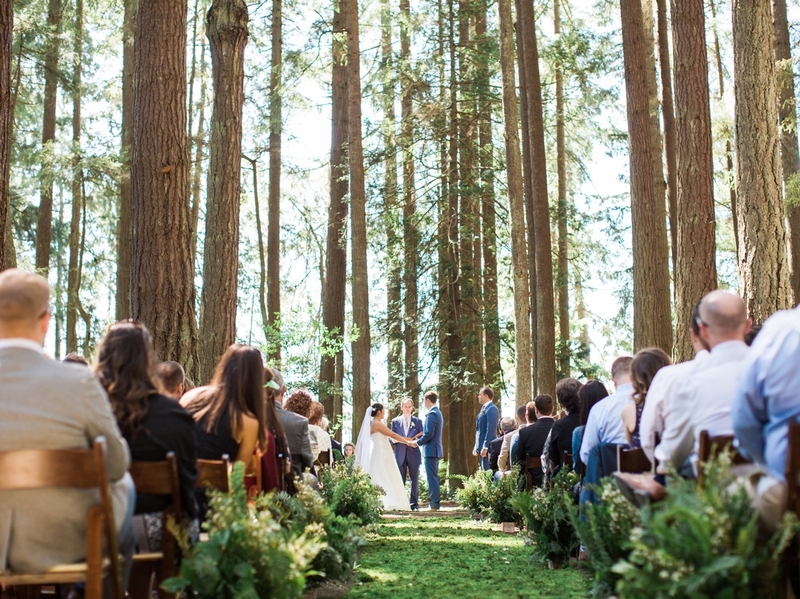 Nicole and Stuart's spring wedding at Kitsap Memorial State Park was filled with woodland and wildflower touches! The venue is on a bluff overlooking the Puget Sound and has lots of native tree and plant species, which makes this a classic PNW wedding! We laid a long moss aisle runner down the full length of the aisle and put potted fern arrangements every few rows to create a lush woodsy feeling. The reception tables featured deconstructed garlands, lots of bud vases, and glowing candlelight in a color palette of white, lavender, purple, and lots of green foliage. We used lots of smaller flowers to give the design a natural, lively wildflower feel.